In this series of three blog posts, Sara Wallin discusses the main findings from an extensive review of recent research on austerity and care for over 65s in England. In this first post, she sets out the broader themes emerging from this body of research and argues that by not recognising the economic and social importance of the care sector, austerity measures are unlikely to lead to a sustainable route for economic recovery. Over the next two posts, she will examine in more detail research on the gendered nature of care followed by a discussion of the key issues that needs to be addressed in order to secure well-functioning social care provision for older people. It is now well-known that the adult social care sector in England is in crisis. Reports by regulators, public inquiries and independent bodies have identified significant variation in the quality of care provided, highlighted poor employment conditions for care workers , and warned of severe future shortages in the care workforce. New incidences of abuse and poor treatment in care homes and in home care signal the pressures on the care workforce and cultural risks, along with the failures of commissioning and oversight in a sector dominated by private providers. Older people are at the heart of this crisis. The regulatory and financing failures in the social care sector impact on the mental and physical health of older people and their relatives, as well as staff struggling to deliver care within impossible time constraints . The challenges for the social care system in responding to the growing demand for long-term care, and more people with complex needs and non-communicative conditions, have been extensively documented and analysed within a substantive body of research. There are 11.4 million individuals currently aged over 65 and the projected growth by 2030 is to 16 million. This demographic shift has increased the need for long-term care, yet the issue has not been addressed through a sufficient expansion of local authority funding (see reports from The National Audit Office and the Local Government Association and ADASS. On the contrary, the 36% reduction in government grants to local authorities since 2009/10 has further exposed older people to lack of or poor quality of care. Although local authorities have sought to safeguard social care through efficiency measures, services for older people have been subjected to an overall 15% cut in financing. In conjunction with austerity measures, the social care sector has been the focus of a series of policy and regulatory reforms which have shifted the responsibility for provision and financing of care away from the public sector to companies, households and individuals. Since the early 1990s, local authorities have been commissioning a vast majority of social care services through private companies and charities – resulting in local care markets in which a myriad of providers are in stiff competition. Assessments and analysis of reforms to means-tested social care have highlighted the fragility of local care markets as the gap between the cost of care and the amount paid by local authorities is expanding. In order to make up for the funding gap, estimated to grow to £1.1 billion by 2020/21, private care home providers are turning to extortionate fees for the 40% of the population who self-fund their care. To promote a fairer financing system, and safeguard homeowners, the Dilnot Commission and the 2014 Care Act proposed a £72, 000 cap on life-time contributions to care – now delayed until 2020. However, growing evidence shows how the two-tiered care market is contributing to intergenerational, socio-economic and local inequalities between those receiving local government-funded care and self-payers. Ultimately, such a system also leaves a substantive proportion of the population – without acute needs and lacking in resources to finance their own care – reliant upon informal care options. Recent policies intended to address the funding shortfall continue to raise concerns regarding sufficient funding and its implications for equality in access and for the workforce. The Better Care Fund, established in 2013, provides a shared budget of £3.8bn (supplemented by a further £1.7bn) for hospitals and social care to provide integrated services has faced stern critique for poor financial planning through which resources would be extracted from the NHS to provide care in people’s homes. Meanwhile, a study by the International Longevity Centre of 326 local authorities found that the 2% optional council tax increase in Chancellor George Osborne’s 2015 Autumn Statement is not enough to cover the funding gap, especially as the councils with the highest concentration of older people and unpaid carers will be the ones that will bring in the least amount of money from the precept. On top of this, econometric modelling shows that the introduction of the National Living Wage – affecting up to 1 million frontline care workers in the UK by 2020 – remains under financed and potentially risking the closure of care homes. Research into the work of care shows how marketization and austerity affects the conditions for paid and unpaid workers, the vast majority of whom are women. A 2015 study by Independent Age documents the growing need for low cost migrant labour to meet the demand of an ageing population, yet without changes to immigration policy this workforce continues to be particularly vulnerable to exploitation by private companies. The majority of care is nonetheless provided informally within households and communities by family members and friends. It is also this sector that is absorbing a lot of the impacts of stagnating spending and austerity. 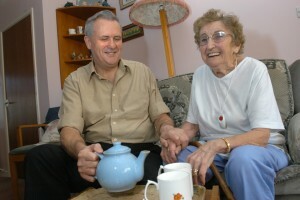 The number of unpaid carers in England rose from 4, 9 million in 2001 to 6.5 million in the 2011 Census. The working hours of carers have also increased over the same period, with 1.4 million people currently providing over 50 hours of unpaid per week (Carers UK 2015). As has been argued by Rai et al. (2014), lengthening working hours, lack of recognition of care labour by the state as well as society more generally, is leading to the depletion of unpaid carers, which harms them physically, psychologically and excludes them as citizens with entitlements. In the context of austerity, carers – and especially carers from BAME communities – are less likely to access practical and financial support. To conclude, I would like to refer to the substantive body of feminist research that has challenged the paradigm of mainstream economics and austerity in which care is deemed as unproductive, or a drain on the economy. 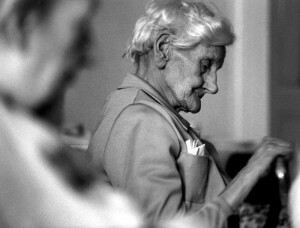 Social care is integral to a humane society, and it is also a major site of economic activity. By including nearly 40, 000 providers and employing 1.5 million people, the sector provides more than £20 billion to the economy each year, making it more valuable than for example the energy sector (oil and gas). Recent research by our Commission partners at the Women’s Budget Group shows that investing 2% of GDP would in the sector would be an important part of economic recovery, contributing to the creation of 1.5 million jobs in the UK, an especially positive contribution to women’s employment rates.